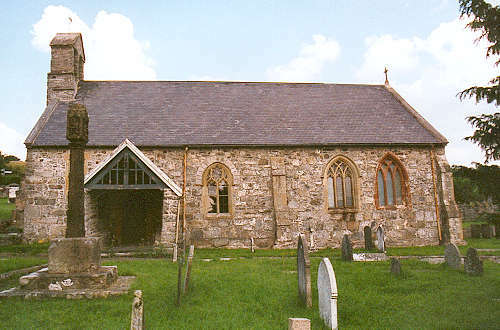 The ancient parish of Derwen comprised the townships of Dyfanedd and Ysceifiog. St. Mary's church was mentioned in the Norwich Taxation of 1254. It was restored in 1857. The church is no longer used for worship, having been closed during 1998/1999. It is now in the care of the Friends of Friendless Churches. For family history information about the church and parish, visit the GenUKI Derwen page.